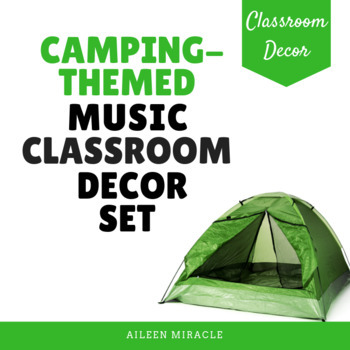 Do you want to decorate your music classroom with a camping theme? This fun, colorful set has everything you need to decorate your music room with a camping, wilderness, or campfire theme! *Camping-themed music word wall: includes almost 100 musical terms to hang in your room, as well as letters to alphabetize the terms. I've included signs for letters A-Z, as well as A-L and M-Z, and A-G, H-M, N-S, T-Z, so that you don't have to post words for every letter and can post the words you use most often. 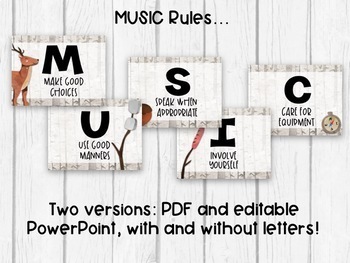 *Camping-themed editable word wall: This allows you to add your own musical terms to the word wall! Simply insert a text box, type the word, and print! *Camping-themed team signs: These can be used when splitting your students into groups and/or handing out manipulatives. Post the signs so students know where to go! *Teacher planner divider pages: These can be printed to put into your teacher planner. Divider pages include: Planner, Substitute info, Lesson plans, Class lists, Schedule, Kindergarten, 1st grade, 2nd grade, 3rd grade, 4th grade, 5th grade, and 6th grade, Band, Choir, Orchestra, Recorders, Assessments, Grade Book, Rubrics, Concept Plans, PPP's, Monthly Plans, Song Lists, Folk Songs, and Program Music. I've also added an editable version. 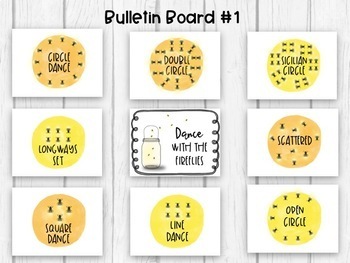 *Dance with the Fireflies" bulletin board kit: includes printables for you to print and post on a bulletin board to show different folk dance formations, including circle dance, line dance, longways set, square dance, Sicilian circle, open circle, double circle, and scattered. *"S'more lines and spaces" bulletin board kit: Includes a header, a treble clef, staff lines, and letter names for you to post on the staff. Could be helpful for having students learn the names of the notes! 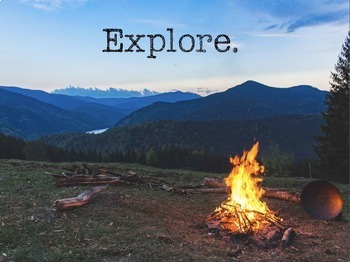 *Camping-themed posters: Includes a photograph and text for "Explore" and the quote "Nature's music is never over." *Camping-Themed National Core Arts Standards Printables: Includes 1 and sometimes 2 printables for each anchor standard, written in student-friendly "I can" language. *"Lost my gear" and "All set up" chair visuals for students who need some time to think, and then are ready to join the fun again. *Camping-Themed Recorder Posters: Includes the notes B, A, G, E, D, D', F, F#, C' and C, with fingerings, letters, and staff notation. *Camping-Themed Ukulele Posters: Includes the chords C, C7, A minor, F, G, G7, D, and D7, with chord visuals, letters, and staff notation. Download the preview to see LOTS of visuals! Thanks for looking! You can visit my blog at www.mrsmiraclesmusicroom.com.